It may seem like a challenge to make your guests feel at home, but the key is a little hospitality, a welcoming persona, and if you want, a few extra touches here and there to make your guests feel special. 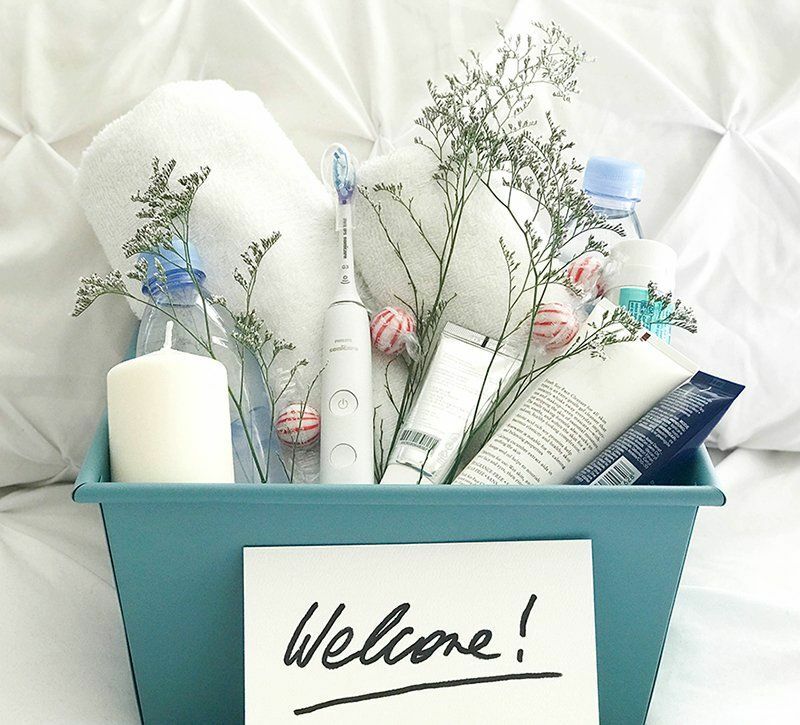 Here are our tips for being the perfect host for your overnight guests. Tidy up the house. Thoroughly clean the house or use this as your motivation to get everything in tip-top shape and off your to-do list. This can include getting rid of clutter, small house repairs, or that small redecorating project you’ve been putting off. Have plenty of food and drinks. Stock the fridge with the types of beverages and snacks your guest enjoys. The idea is to make it easy for your guests to grab a quick snack whenever they want. Have something planned for your guests. You don’t want to invite your friends to visit and not have anything for them to do. This could include a range of activities from a simple shopping excursion or day at the pool, to a cocktail party or day-trip to an amusement park. This doesn’t mean you need to pack their itinerary with fun-filled time together, just be thoughtful about keeping them entertained. Don’t forget the kids. If your guests include children, make sure you accommodate them, too. If you don’t have any children, it wouldn’t hurt to pick up a game or two to keep them busy or plan an easy craft. If you and the children’s parents have a party to attend, find the names of a few babysitters that you can give to the parents. Don’t feel like you need to arrange for the babysitter. The parents will probably need to discuss payment and possibly transportation. Provide current magazines. A small collection of magazines or even a book of short stories will make your guests feel welcome. Plus, it will give them something to read in case they’re early risers or night owls. Have snacks and drinks in the room. Leaving a couple bottles of water and granola bars is an extra special touch. This way guests don’t even have to leave their room for a midnight snack. Check the details. Unused guest rooms can go unnoticed in the routine care of the home. You don’t want your guests sitting in the dark, so check the light bulbs. Also, make sure any clocks are set to the right time, and channel changers are in working order. Get new towels. Don’t let the guest bathroom be the repository for old, dingy towels. Buy some new ones to make your guests feel comfortable and at home. Provide toiletries. Just like a hotel bathroom, lay out a few toiletries like soap, shampoo and conditioner, and lotion. You can find travel-size bottles in most grocery stores and pharmacies.